Upon opening a 12 oz. 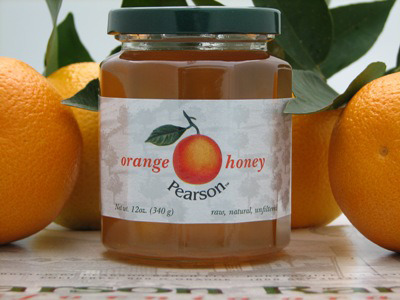 jar of Pearson Ranch Orange Honey... you will be able to detect the fine and delicate scent of orange blossoms. Your first taste of our all-natural golden honey will fill your senses with the aroma and the sweetness of springtime orange blossoms in bloom. Orange honey truly is one of the greatest gifts from Mother Nature, her bees, and the San Joaquin Valley.